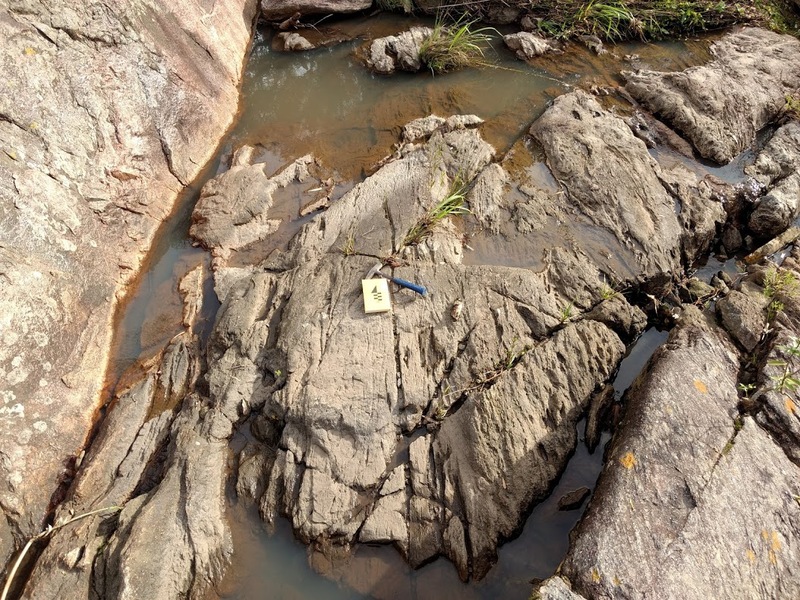 A blog stuffed with easy-to-follow Python recipes for geosciences ! Multispectral and hyperspectral satellites are amazing (I'm a huge fan). I tend to think them as a super human vision. Soviet and American space stations started to be launched with multispectral devices in it's equipments in yearly 70's. From them, space scientists have improved it to a solid earth observation system for all kinds of purposes. Today, with these instruments, scientists can accurately categorize trillion of surface pixels, find not only visible, but invisible information, control illegal actions and plan our future as a civilization. The world's longest continuously acquired collection of space-based moderate-resolution land remote sensing data. The Landsat is a multispectral satellite currently on the eighth of it's series. Landsat-8 data is freely available on the USGS's Earth Explorer website. All we need to do is sign up and find a scene that match our area of study. 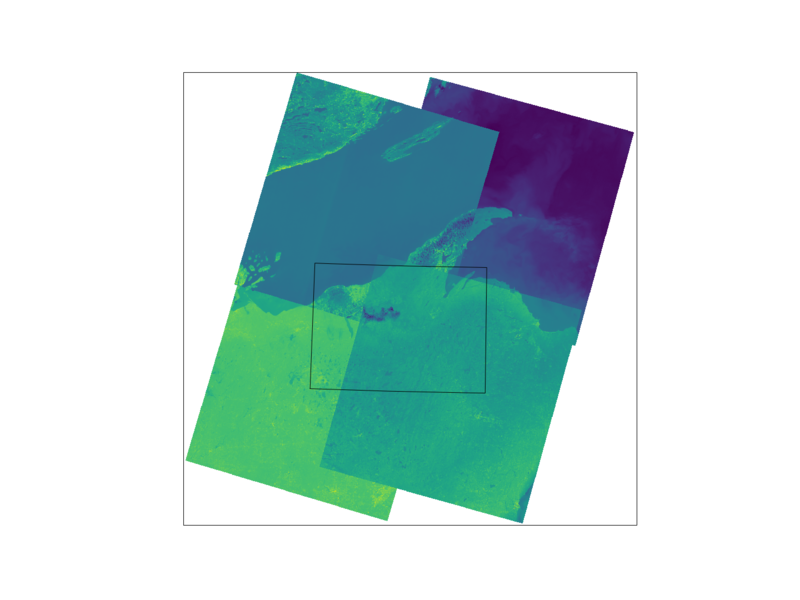 However, in this tutorial, I will show you how to automate the bulk download of low Cloud Covered Landsat-8 images from the comfort your Python! This is the PART 4 of a series of posts called Integrating & Exploring. This post is also a consequence of the tweet below. Thanks for votes, retweetes and likes! Import pandas and geopandas for easy manipulation and filtering of tables and vector files.folium for interactive map views. os and shutil for file/folder manipulation. Let's read the vector containing the bounds of the Area of Study. This was processed on previous posts. The notation used to catalog Landsat-8 images is called Worldwide Reference System 2 (WRS-2). The Landsat follows the same paths imaging the earth every 16 days. Each path is split into multiple rows. So, each scene have a path and a row. 16 days later, another scene will have the same path and row than the previous scene. This is the essence of the WRS-2 system. USGS provides Shape files of these paths and rows that let us quickly visualize, interact and select the important images. Let us get the shape files and unpack it. I will first download the file to WRS_PATH and extract it to LANDSAT_PATH. Import it to a GeoDataFrame using geopandas. Check the first 5 entries. Now, we can check which Polygons of the WRS-2 system intersects with the bounds vector. Also, let's put the calculated paths and rows in a variable. Create a map to visualize the paths and rows that intersects. Click on the Polygon to get the path and row value. Let's use boolean to remove the paths and rows that intersects just a tiny bit with the area. (paths higher than 26 and lower than 23). This could be done by a threshold of intersection area. We end up with four pairs of path and row values that would give images covering the area of study. Google and Amazon provides public access to Landsat images. We can get a DataFrame of available scenes to download in each server using the urls below. The Amazon S3 table has ~20 MB of rows describing the existing data while the Google Storage table has ~500 MB. Now, let's use the previous defined paths and rows intersecting the area and see if there are any available Landsat-8 images in the Amazon S3 storage. Also, we can select only the images that have a percentage of cloud covering the image less than 5%. We also want to exclude the product that end with _T2 and _RT, since these are files that must go through calibration and pre-processing. More info! # Filter the Landsat Amazon S3 table for images matching path, row, cloudcover and processing state. # If any scenes exists, select the one that have the minimum cloudCover. # Add the selected scene to the bulk download list. Check the four images that were selected. Last step is to download all files in the server for the 4 images, including metadata and QA. Each product for it's own folder. # Request the html text of the download_url from the amazon server. # Create the dir where we will put this image files. Let's plot the raw images for the thermal band 10. Read the rasters using rasterio and extract the bounds. That's it, I download all the images that cover the area of study. Next post, I will go step-by-step on how to derivate the Top of Atmosphere (TOA) reflectance. LC08_L1TP_025027_20170406_20170414_01_T1 happened to be a very cloudy image. We will have to replace that (palmface). Let's check the other scenes available. Drop using the index of the deleted image and add the new image. Now we can download again using the requests code above.